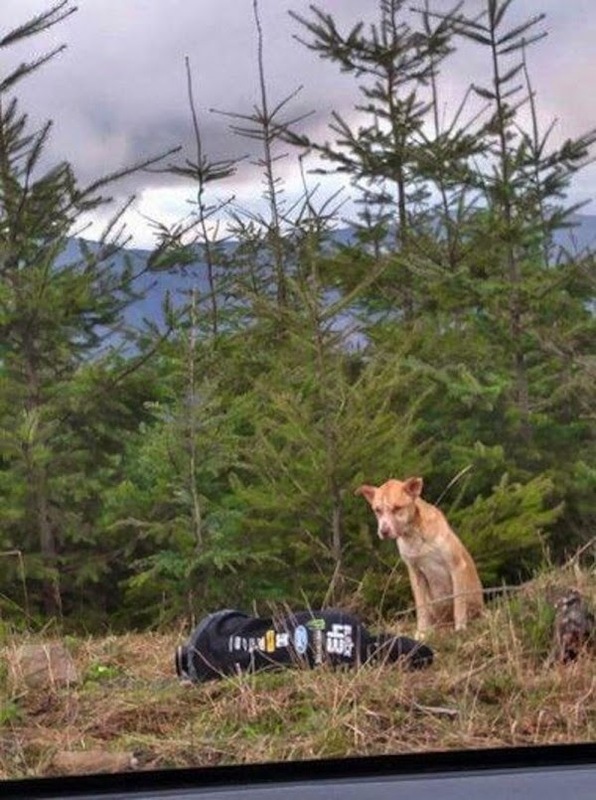 When Amanda heard about a lost, lonely dog at Evans Creek campground in Washington state, she and her friend Dylan decided to do the unthinkable. 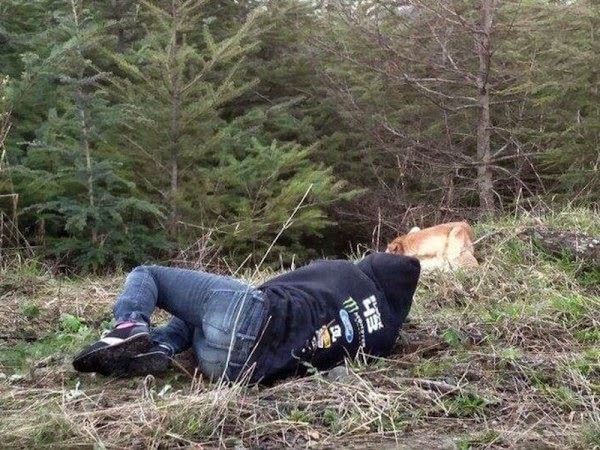 The two girls — now being hailed heroes — posted photos illustrating the great lengths they went to in order to rescue the frightened, emaciated dog known as “Bear,” who wouldn’t let any humans get close. For an hour, Amanda and Dylan tried to lure the dog with food, but it didn’t work. The next day when they went back, the dog was in the same spot. Again, they tried to coax him with food, but to no avail. That’s when they got creative. Very creative. 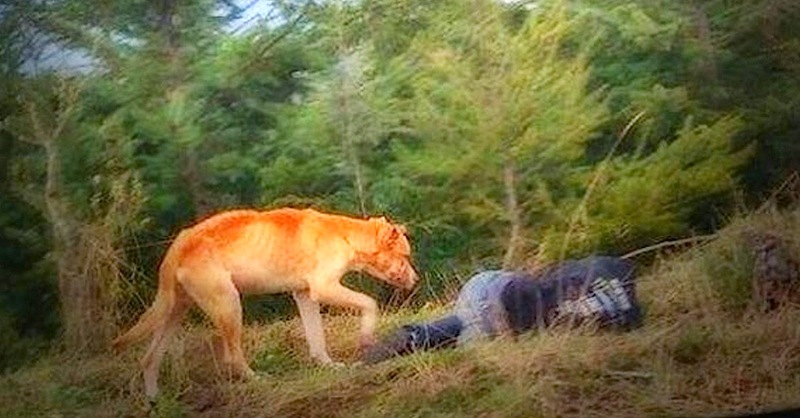 Pretending she was injured and in need of help, Amanda laid down in fetal position on the gravel and started crawling backward toward the dog. In fact, she spent the next hour slowly inching closer and closer to Bear. When he voiced his discomfort, she’d start whimpering and yawning, which is a calming signal, and continued to inch closer until she rested directly on his side! 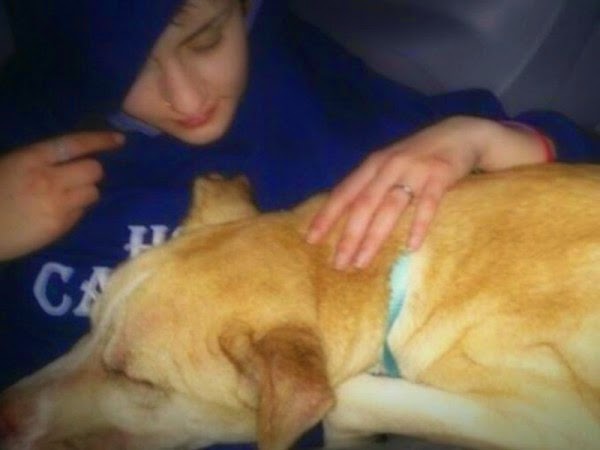 For two hours, Amanda and Bear cuddled, until he finally let her slip a lead around his neck. Bear was finally safe. Bear is on the road to recovery thanks to these two incredible heroes. 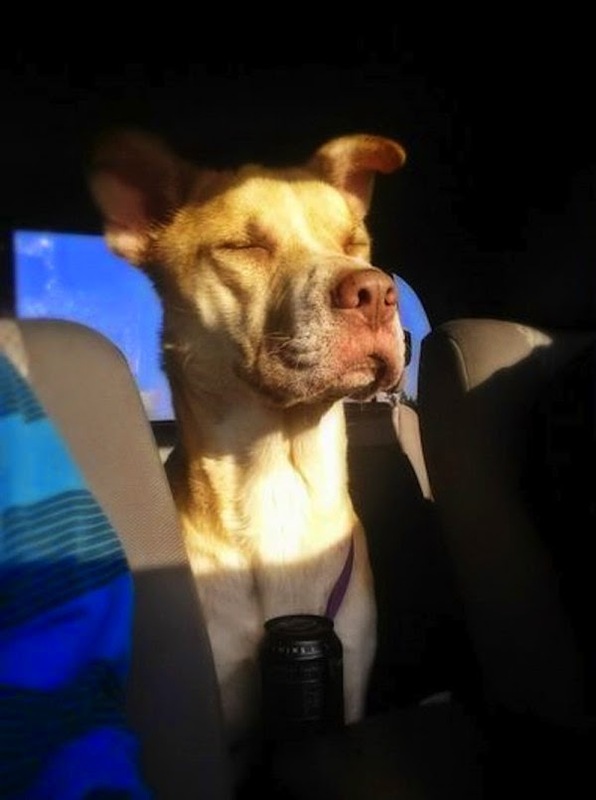 Because of his eventual friendliness, they think he got lost from his family. 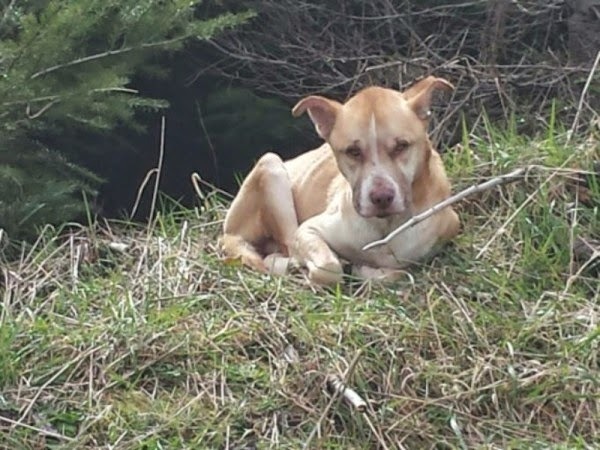 They’re trying to find the dog’s owners, but if no one claims him, a local rescue group will help find him a loving home. 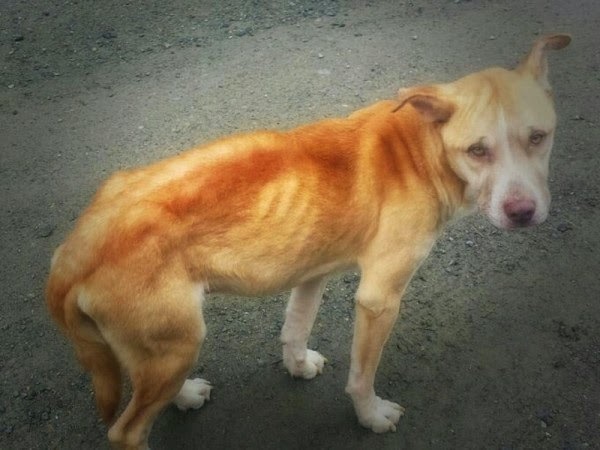 A frightened, starving dog nicknamed "Bear" was alone in a park, with no one to turn to. When Amanda heard about him, she and her friend decided to do something about it. Whatever it took. 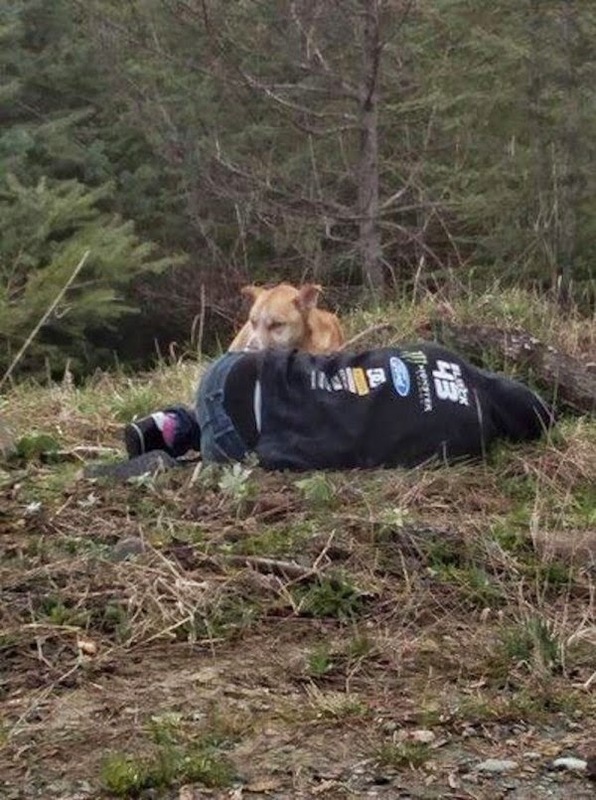 After trying to coax the dog with food to no avail, Amanda curled up on the gravel road right by Bear, but with her back to him. He growled a little bit, but eventually got close enough to smell her. 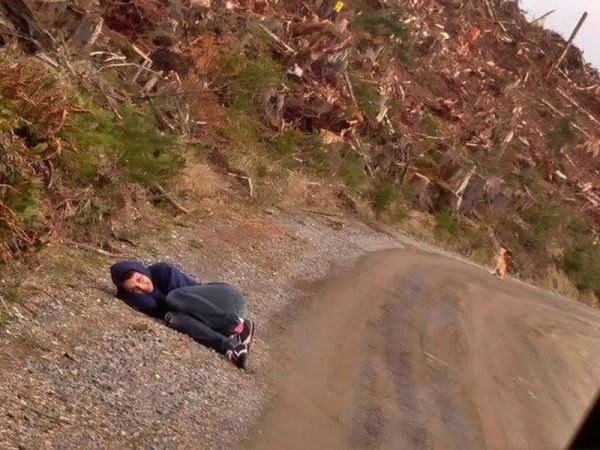 She laid in the road like this for 20 minutes before Bear lost interest and wandered off. But she didn't give up. Again, Amanda got down on the ground with her back to the dog and slowly started crawling backwards. For the next hour, she stay curled up in a ball, inching closer and closer to Bear. Amanda knew how delicate the situation was. She made sure not to try to grab him because she didn’t want to lose the trust she was beginning to build. Finally, she got right up next to Bear. She made "comfort" sounds, and continued to slowly get closer until she was rested right up against his body. Incredible! Bear was emaciated -- his bone and ribs were sticking out. But Amanda and Dylan finally earned Bear's trust. They could have given up hours ago, but they acted with patience and understanding. Finally, Bear allowed the girls to place a lead around his neck. He's safe at last! That night, Amanda discovered Bear wanted to be carried everywhere, and she happily obliged! The two snuggled together until they got to the vet, where Bear is currently on the road to recovery. What an AMAZING story that should be seen by all -- please SHARE Bear's story with your friends on Facebook!